Set your calendars for a great barbecue competition at the 10th annual Hogs for the Cause on March 23-24, 2018 at UNO’s Lakefront Arena Fairgrounds! This charity benefits children with brain cancer, and approximately 85 chefs from local restaurants will be on hand to compete with other backyard chefs. To go along with the barbeque, there is a fantastic music lineup including The Band of Heathens, Samantha Fish, Sweet Spirit, and many others. Link Restaurant Group will be sponsoring a gala dinner and silent auction on Thursday, March 22, 2018 at UNO Lakefront Arena at 6:30 PM. The gala theme this year is “Hoggyshack”. You may purchase tickets at the following link: https://www.ticketweb.com/t3/sale/SaleEventDetail?eventId=7907725&dispatch=loadSelectionData&_ga=2.53446955.222061322.1517955640-1496929951.1517955640 . 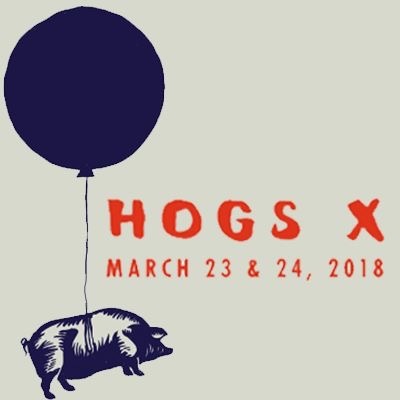 For additional information and to purchase tickets for the barbeque competition, click the following: https://www.hogsforthecause.org/ .